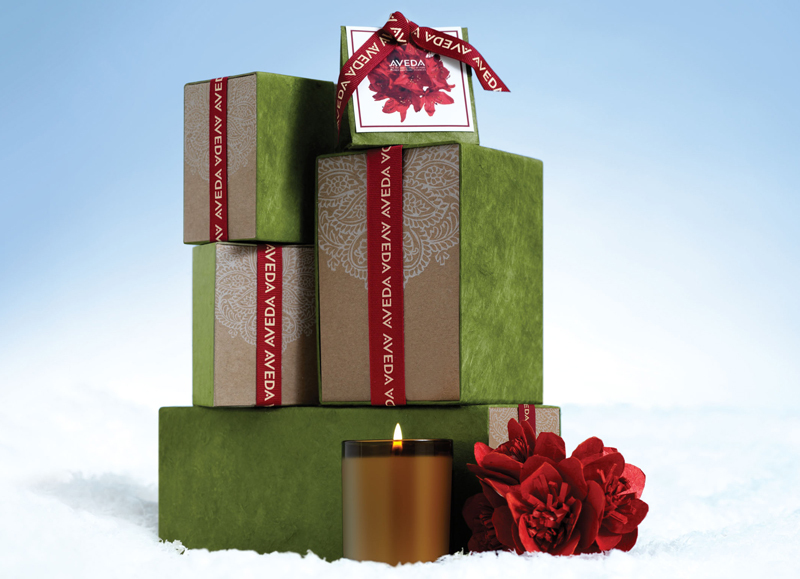 Gift sets include a variety of skin and hair care packages (view all packages at Aveda.com). Aveda continues their long term partnership with paper-making communities in Nepal to bring you beautifully packaged, limited-edition holiday gift sets. Each box includes the sustainably harvested, handcrafted Nepali paper. It’s never too early to start stocking up. Gift sets, packages and stocking stuffers are available in retail stores located at the Brown Aveda Institutes in Mentor and Rocky River. Pure Privilege members earn tiered points: purchase One gift set and receive 150 points, Two gift sets – 350 points, Three gift sets – 700 points!